We are excited of how many people have tried our application! Most reviews that we get are positive, what is especially inspiring. Thanks to all our users for great feedback and support we get! We have decided to keep our users updated with latest info and share good news. That's why now, after every significant update, you will see "what's new" page, where the update is described. Also this information can be found in "history changes" tab, hidden under "about" button. In very first update we wanted to make something special for our users. 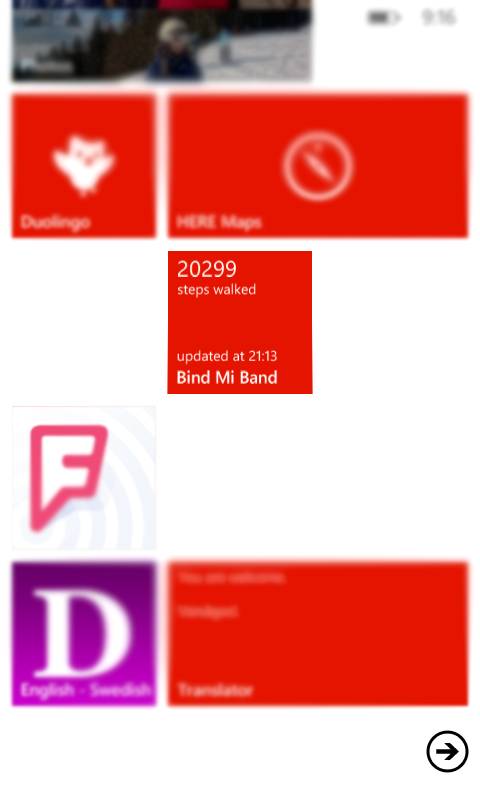 Something, that is related to Windows Phone and Mi Band together. This thing was Live Tile for Start Screen. Much time were invested in it and we are not proud of what we get. 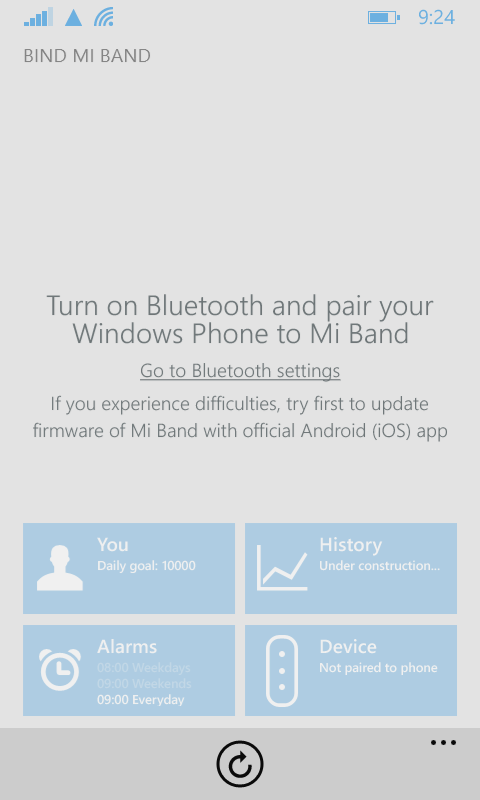 But this is most, what we can get from Windows Phone right now. Live Tile feature remains experimental, but we expect that it will become official in future version of Windows. We received great feedback and see that it's not clear for some users, that there is still some inconvenience when you establish first connection between phone and band. That's why support messages were improved and we hope that it will be much more clear for users how deal with common issues.